Provide comfort for the family of Ernest Silva with a meaningful gesture of sympathy. On Wednesday, April 3, 2019, Ernest Joseph Silva, Jr. passed away peacefully in his sleep. Ernie was born August 5, 1941, the eldest son of Ernest and Helen Silva. He grew up and lived most of his life in Point Loma. He went to St. Agnes school, Dana Middle school and graduated from Point Loma High School in 1959. Ernie loved sports and played sports throughout school. He also attended San Diego Community College and USD. Ernie started his career at the Westgate cannery, Weber Warehouse, co-owned a deli with Frank and Barbara Alioto and closed out his career at Hauser’s Furniture. Ernie’s real passion was sports. All sports. He coached baseball, football and basketball. He loved The Padres, and particularly loved afternoon Padre games and pitching duels. 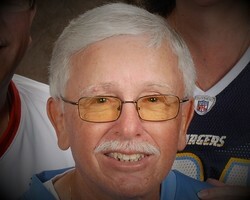 He loved his San Diego Chargers, Aztecs and USC and Notre Dame. 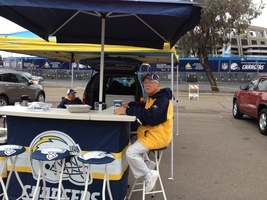 Ernie had season tickets for the Chargers from the time they were at Balboa Stadium and he has been going to the Padre games since Lane Field and Westgate Park, then season tickets at Qualcomm Stadium. He got to go to a World Series and a Super Bowl and always hoped we would be the winners. He was crushed when the Chargers moved. 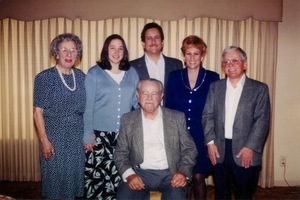 Ernie leaves behind his sister, Sharon (Leslie), brother, Mark (Maria Gorete), nieces Michele (Trina), Gabriela (Bryan) and nephew Nicolas (Bianca). Memorial Mass is planned for Friday May 3 2019 at 10am. St. Agnes Church, 1140 Evergreen Street, San Diego 92106. 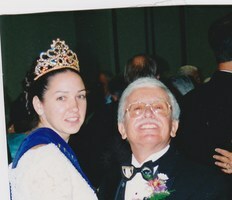 To send flowers in memory of Ernest Joseph Silva Jr., please visit our Heartfelt Sympathies Store.